Professor Bidhan Chandra Patra, Department of Zoology, Vidyasagar University is the Principle Investigator. The intending candidate should send their C.V. along with contact number and e-mail address to Professor Bidhan C. Patra (PI), Vidyasagar University, Midnapore-721 102, West Bengal (e-mail: patrabidhan1962@gmail.com) within 07 days (1 weeks) of publication of this Advertisement. The fellowship/ remuneration & HRA will be as per WBDST rules. The positions are purely temporary for the duration of the project as granted by DST, Govt. of West Bengal. No TA/DA will be provided for appearing in the interview. The position is purely temporary for the duration of the project. The appointment does not confer any entitlement or right over the job for absorption in the University Service. 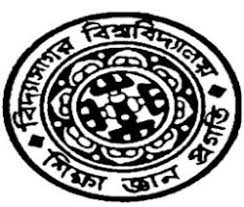 Date of Interview: 29.06.2018 Time : 11.30 a.m. Place: Department of Zoology, Vidyasagar University, Midnapore, W.B. 1. M.Sc. in Zoology (Fishery Special)/ Fisheries Science/Aquaculture (Research Experience at University/Institute in Govt. sponsored Sector or Scheme for 1-2 years/ SCI publications are desirable).